Waynesboro YMCA Childcare is now online with its own dedicated website – with the help of Augusta Free Press LLC. “The childcare staff and I are so excited about the childcare website. 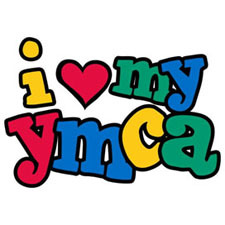 This is our opportunity to show the community the hands on learning and fun that take place at the Y,” said Waynesboro Y Childcare director Rebecca Patton. The site features detailed information on preschool, pre-kindergarten, school-age and summer-camp programs. It also offers a detailed Childcare Handbook and bios for Y Childcare staff members. Augusta Free Press LLC also linked the site to a dedicated Waynesboro Y Childcare Facebook page that gives parents another easy way to access information about the programs offered. “Parents will now have the ability to have schedules and calendars right at their fingertips. As we move forward and continue to grow, this website will help us to reach the viral market. The staff and I actively agree that good childcare is good family care,” Patton said.